Indigenous history in Alberta will feature prominently throughout the new Royal Alberta Museum when it opens in 2018. 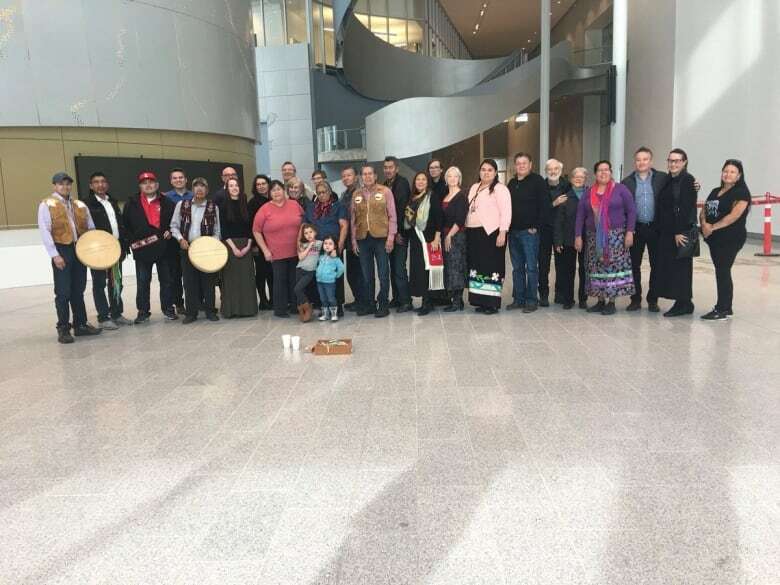 The moment people walk into the new Royal Alberta Museum, it will be clear they're in a place where Indigenous people have existed for thousands of years. The museum opens in 2018. Visitors will be greeted by a special welcome acknowledging the building is located in Treaty 6 territory. 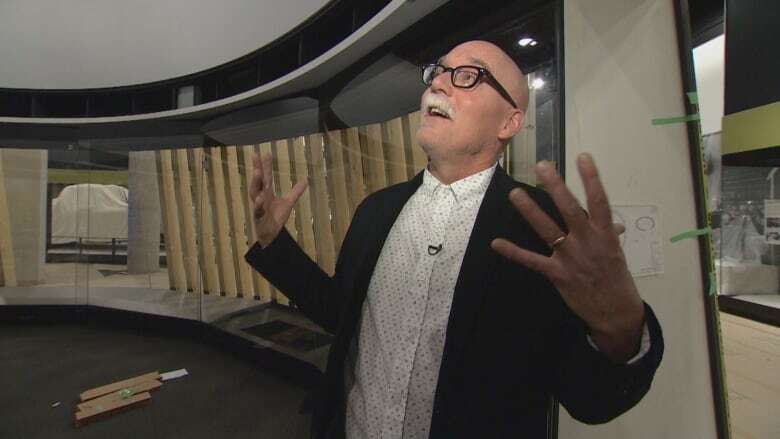 "Ultimately there will be a sign panel here in 13 different Indigenous languages," the museum's executive director Chris Robinson explained during an exclusive tour of the building. The entrance to the $375.5 million building sets the tone for a shift in the way the museum is handling its Indigenous content. Instead of a separate exhibition, such as the gallery of Aboriginal culture at the old site in Glenora, Indigenous experiences will be an integral part of the new downtown museum. "Human occupation in Alberta goes back 13,000 years, that post contact period has really been a brief one. I think there was no other option but to integrate that entire story throughout," Robinson said. The approach followed consultations with Indigenous communities, Robinson said, including guidance from a 24-member advisory panel. As a result, visitors will see Indigenous features throughout six integrated galleries in a 30,000-square-foot human history hall. Of the 3,200 objects on display, 500 will be Indigenous in nature. Cheryl Whiskeyjack, one of the advisory panel members, said she is impressed by the progress the museum has made from its single Aboriginal gallery at the old site. 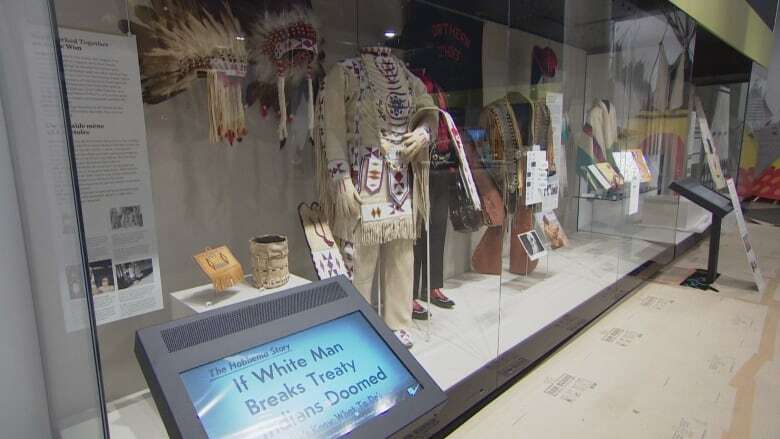 "It definitely put Indigenous people as the other, just in the way they presented it, they had their own little section of the museum and they were portrayed in a certain way," Whiskeyjack said. "Weaving it through the whole museum really puts Indigenous people as a part of the fabric of this province and its evolution." Allowing for the new space to be blessed in a traditional ceremony was another move Whiskeyjack said would build trust. While many of the displays will remain secret until the grand opening, Robinson revealed the museum will tackle a range of issues the advisory panel suggested. "We haven't shied away from some of those challenging, complicated stories from the past," he said. For instance, renowned artist Alex Janvier is part of an exhibit about the impact of the residential school experience, Robinson said. The museum will also create a separate room where people can view the famous Manitou Stone, without having to pay admission. When the meteorite fell from the sky, some Indigenous people thought it contained the face of the creator. The stone, believed to be about 4.5 billion years old, is still considered sacred by many. The new display room will be 26 feet in diameter and the stone will sit on earth from the place it was first discovered near Hardisty, Alta. "We are reuniting this manitou stone with the earth, something that it hasn't had for 150 years," Robinson said. "The imagery on the inside of that circle, it will look like that landscape as much as possible." People will be allowed to pray and make offerings to the 150-kilogram stone," Robinson said. Although the project is on a budget, Robinson said he is reluctant to give an exact date for when the museum will open. He says the ribbon cutting will be sometime in 2018.